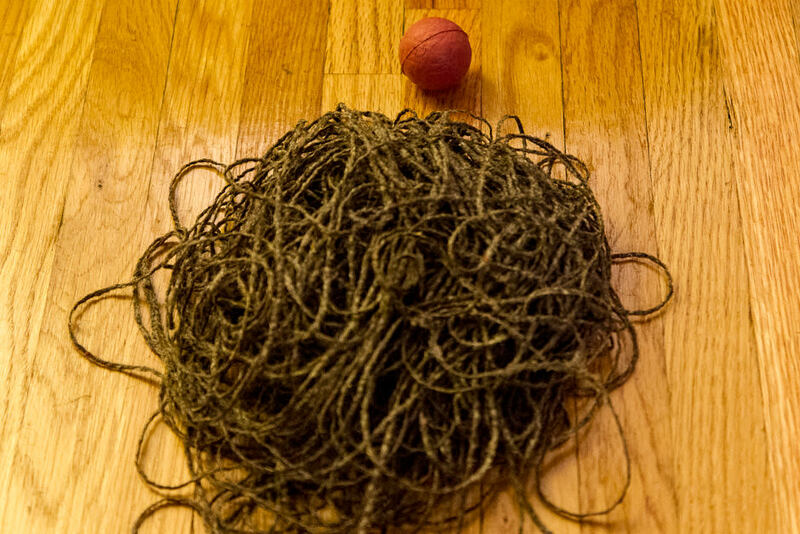 When I was little young I dissected a baseball to see how it was made. Since it’s been a long time, and I don’t remember it, I decided it was time to do it again. It took about 45 minutes to remove the red laces holding the leather since I took my time and tried to preserve them as much as possible. 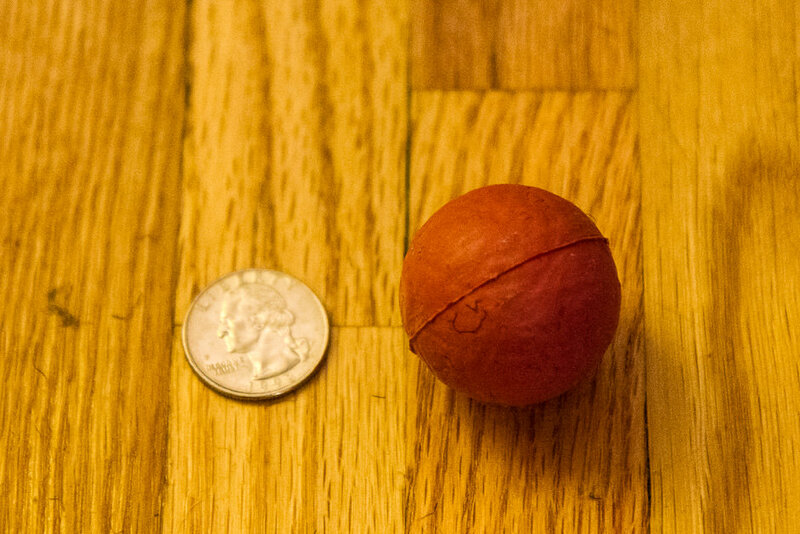 The leather was glued to the ball underneath and had to be peeled away. 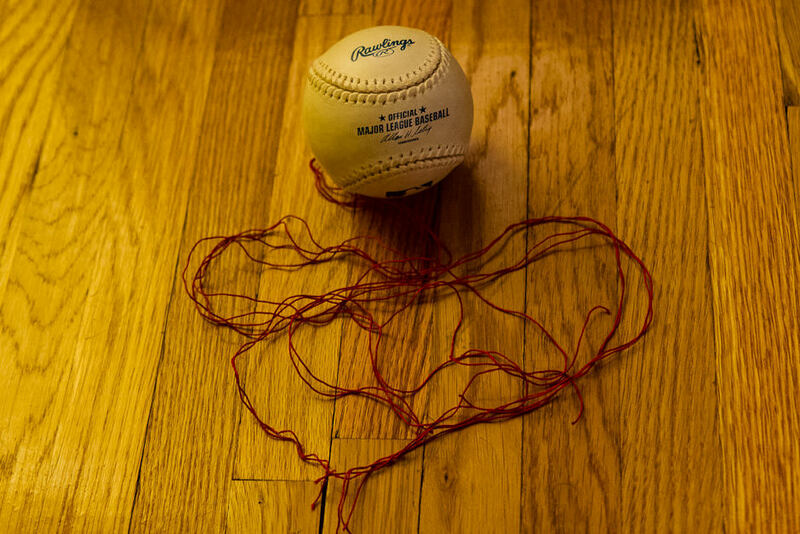 Under the leather, the ball was covered in a thin, but strong, thread. 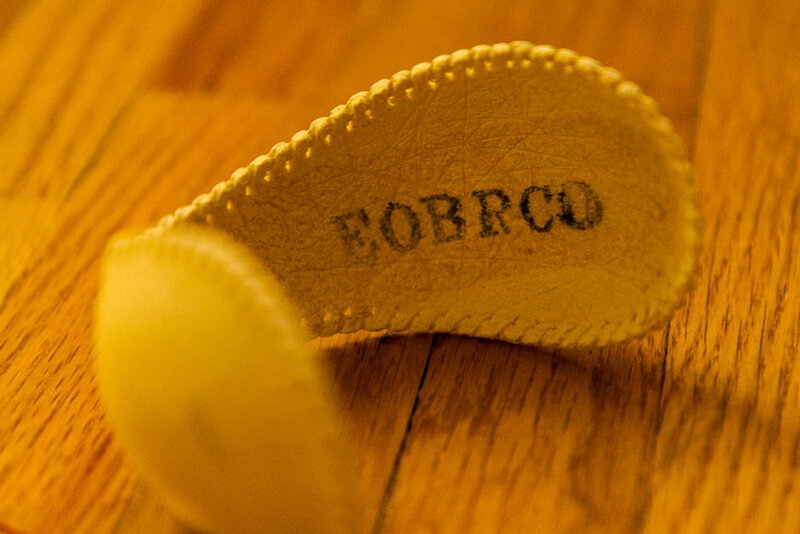 Under one of the pieces of leather, the letters “EOBRCO” were stamped. 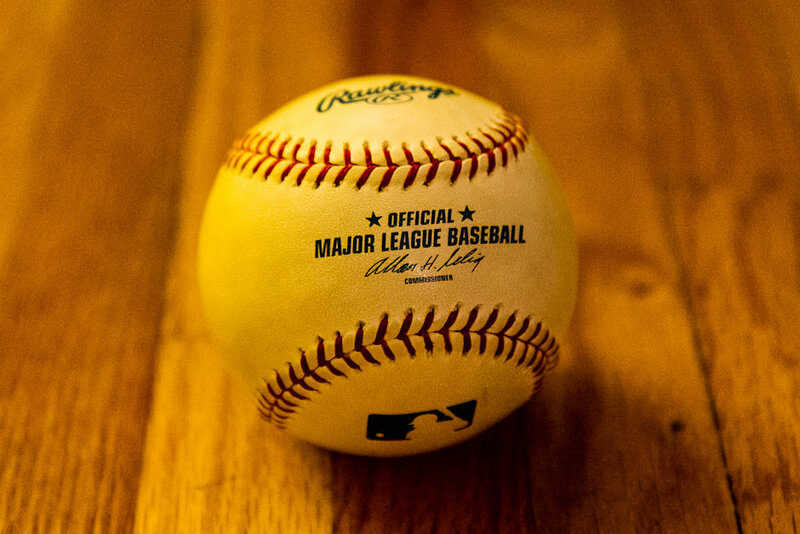 The Google had no results when looking for “EOBRCO baseball”, “EOBRCO Rawlings”, or “EOBRCO leather”. I assume they’re a lot number related to the leather manufacturing. 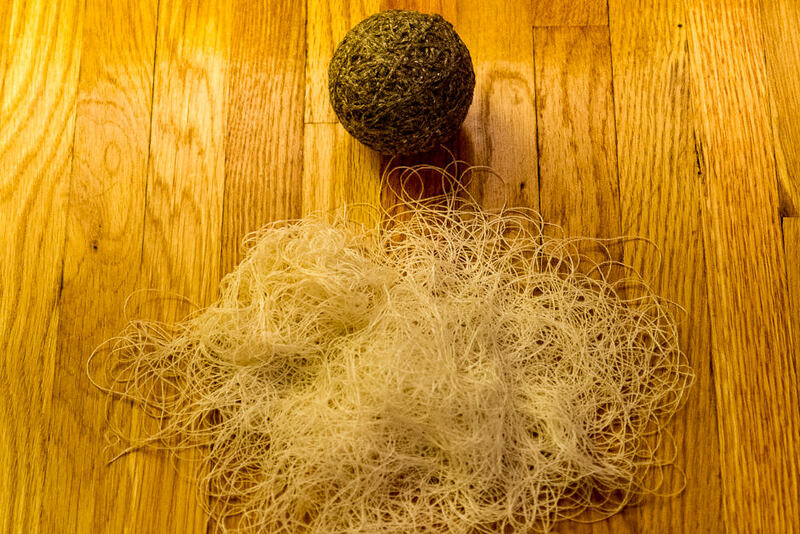 After unraveling the thread, the ball was covered in a dark, thick yarn. 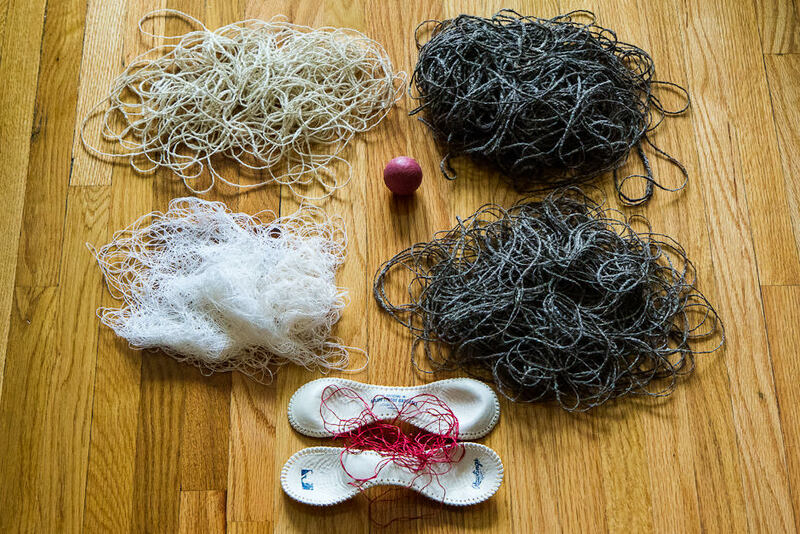 Underneath the dark yarn was a lighter, thinner yarn. 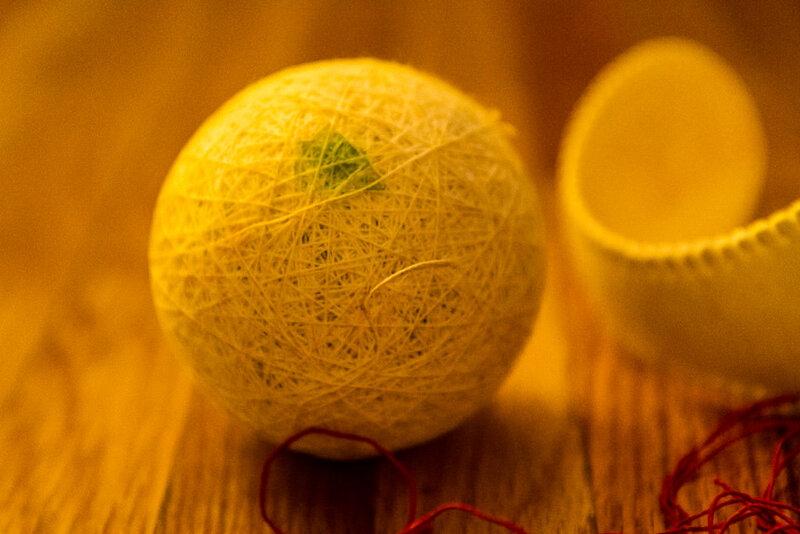 Underneath the light yarn was more of the dark yarn. 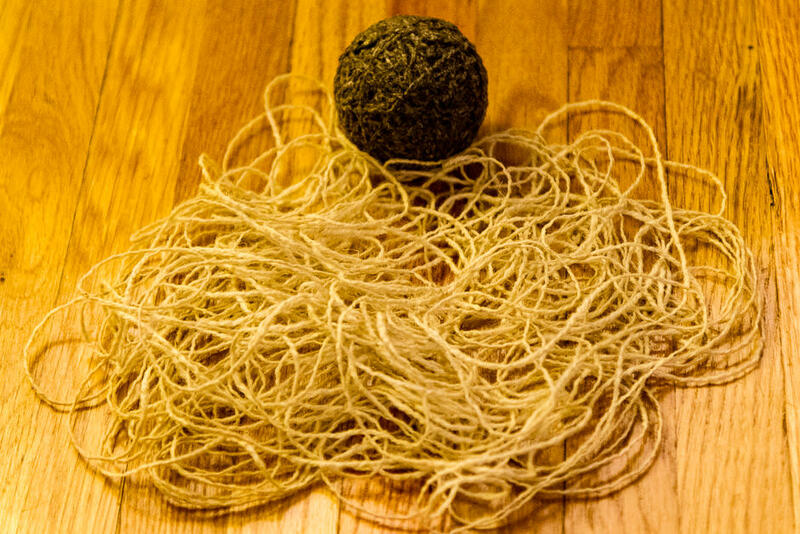 The core is very hard and has no bounce to it. The whole operation took about one-and-a-half hours. 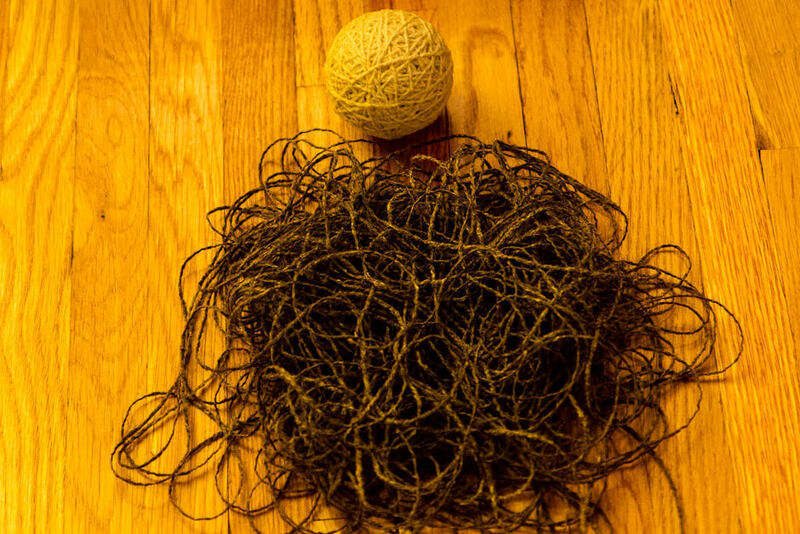 For my next project, I’m going to go all Humpty Dumpty and try putting it back together.